The Psalter is the songbook of the Scriptures, meant to make our hearts and our mouths sing the praises of God and lament the brokenness of the world. C.S. Lewis says, "The most valuable thing the Psalms do for me is to express the same delight in God which made David dance." From the majestic creation song of Psalm 19, to the plea for restoration in Psalm 51, to the marathon exaltation of God’s Word in Psalm 119, the Psalter engages the hearts and minds of those who read it and directs their gaze to the faithfulness of God. Often, the God of the Old Testament is sketched as a cold, angry God in contrast to the loving, saving God of the New Testament and today; the Psalter shows this theological understanding could not be more incorrect. Throughout the Psalms, the intimacy of Israel and Yahweh’s relationship is clear. Despite the disobedience of His people, God is faithful as he loves and delivers his people from their self-inflicted wounds and the consequences of their hard-headedness and sin. God is the ruler over all creation, and he oversees all that he has made with justice and compassion. His people know this and plead for Him to act in accordance with his character. Alongside the wrong understanding of the Old Testament God being different from the God we see in the New Testament is the erroneous thought that the Old Testament is too far removed to be applicable to us today. The songbook of the Old Testament begs to differ. 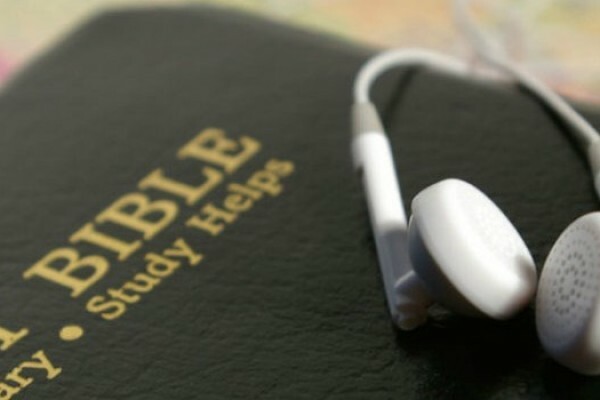 Why would we Christians in the 21st century want to study a songbook from the Old Testament? What could the lyrical words of the adulterer-King David have for us as we look to follow Christ? In the Psalter, we see David weep with sadness and dance with joy. We see him worship God as King and proclaim God as sovereign. The God of the Psalter is not separate from the God of the New Testament or the God of today. Theologian Mark Futato writes, "The message of the book of Psalms is that our God is King and our King is coming to transform our suffering into glory and to bless all who take refuge in him." We see this reality in the Psalms, but we see it fulfilled when the God-man Christ comes to take our suffering on himself for our eternal joy. This summer, I invite you to study the Psalms with me through Explore the Bible. Join thousands of churches as we unearth the songbook of Scripture and see what it might have to tell us about the goodness of God and the weight of our sin. But, in addition to inviting you to read and digest the Psalms with us, I want to invite you to sing the Psalms with us. The Explore the Bible team has put together three songs based on Psalm 51, Psalm 42, and Psalm 95. Let’s sing the Psalms together this summer as we focus our eyes on the glory of God and his promises to deliver us from valleys of darkness and death. Reprinted with permission from Explore the Bible at LifeWay.